Martin Callery, retired chief commercial officer for the Oregon International Port of Coos Bay, offers a unique perspective on intermodal transportation for the Oregon Transportation Commission. Gov. Kate Brown has nominated a former chief commercial officer for the Oregon International Port of Coos Bay as the latest state transportation commissioner. If confirmed by the Oregon Senate May 22, Martin Callery would be the only state transportation commissioner with experience in intermodal transportation. His extracurricular activities with the port involved traveling to other countries and seeing how their transportation systems worked. He said he has seen tolling used in other countries to try to ease congestion more than 10 years ago, a strategy that the state transportation commission will consider starting in the summer and over the rest of the year. "My goal is to work with other commissioners so that as we deal with issues of gridlock in Portland, we also deal with a multimodal shipping focus," Callery said. "Freight mobility is extremely important for rural communities because rural areas typically don't have access to more than one mode, that mode primarily being highways. "For some commodities, trucking is the primary means of transportation. When we have that level of gridlock in the Portland area, people in Southern Oregon are having to add a full day's time to their shipments because the gridlock in Portland impacts profitability. It ties up the system and makes life miserable for people who live in the Portland metro area. If you tie up those drivers, you are adding expense to the movement of those goods, and that adds cost for everybody." Callery succeeds Paula Brown, who was the five-member commission's only engineer. Brown resigned from the commission March 16 because of work and family obligations. Her extensive experience in federal and local transportation projects increased the commission's ability to scrutinize the Oregon Department of Transportation's management of state transportation projects, including cost overruns. 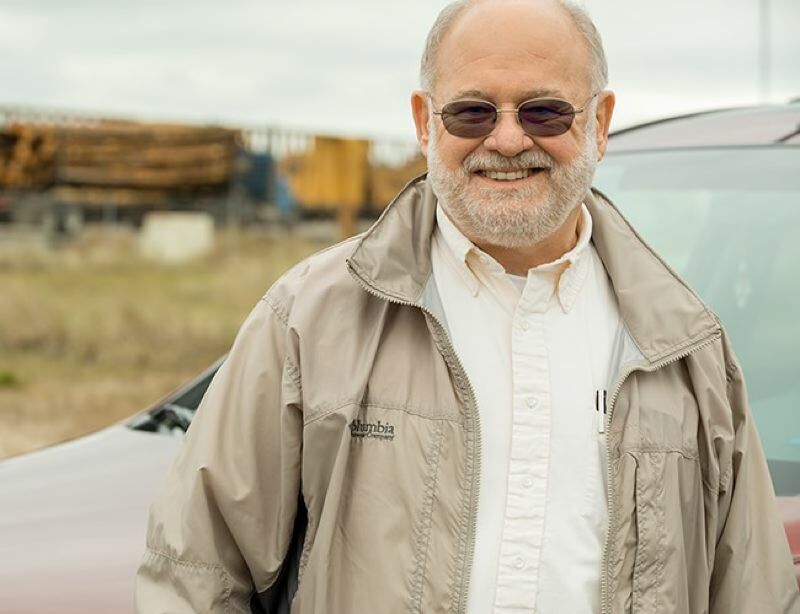 Since his July 2015 retirement, Callery has volunteered for ODOT in other capacities and worked as a district liaison for state Rep. Caddy McKeown, D-Coos Bay, one of the chief authors of a $5.3 billion transportation project funding bill passed in 2017. He said he plans to resign from McKeown's office effective May 16 to avoid any potential conflicts of interest. "The appointment of Mr. Callery to OTC reflects Gov. Brown's focus on ensuring the implementation of (House Bill) 2017 is effectively managed and informed by local input," said Brown's press secretary, Bryan Hockaday, referring to the transportation funding bill. "…Mr. Callery has an extensive background in transportation policy work at the state, and he was chosen in part because of his experience with rail and intermodal projects in Southern Oregon." His volunteer work since his retirement has included advisory committees to the planning unit of the Oregon Freight Advisory Committee, the Oregon Freight Plan Amendment Working Group; two technical advisory committees, Oregon Freight Intermodal Connector System study and Oregon Freight Highways Bottlenecks List. He also sat on the governor's transportation vision panel before the transportation funding bill was considered in 2017 and on the 2016 Connect Oregon VI Marine Review Committee and Final Review Committee. McKeown said Callery brings a unique background to the commission with his years of experience in multimodal transportation. He also would be the only commissioner who comes from the Oregon Coast. "Few people have a grasp on that," she said. "I appreciate that the governor is throwing her net wider and choosing someone from a rural area of the state because we have transportation issues, as well."